At Creekside at Kenney’s Fort, our service towers above the competition and we offer truly unique apartments. 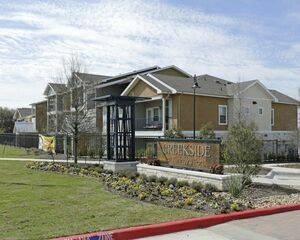 Round Rock is a fabulous place to live with a great neighborhood and exciting urban flair. These apartments could be your new dream home. We can't wait to show you around the neighborhood, and welcome you into our community. Give us a call and stop by today for a full tour!